Frank Kassela wrapped up his third World Series of Poker gold bracelet, his first in a non-stud event, after defeating Bernard Lee heads-up for $89,151 in Event #13: $1,500 No-Limit 2-7. 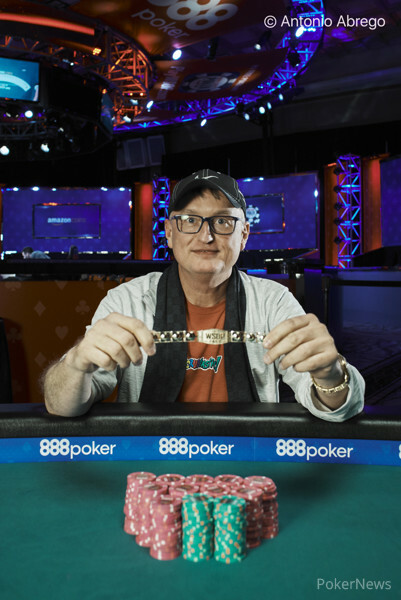 "Nothing feels better than winning a World Series of Poker bracelet when you're a poker player," Kassela said shortly after winning. Kassela came from behind to best Lee, who entered the day as the chip leader and held the top spot for most of the day. Kassela stood pat on the final hand with a jack after calling Lee's all-in bet. Lee was drawing one and hit a pair to finish as the runner-up and collect $55,086. 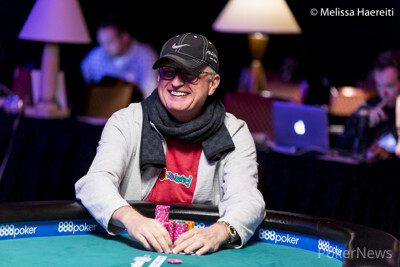 The third-place finisher was Tim McGuigan, who earned his first-ever WSOP cash to the tune of $37,032. At one point, McGuigan held the chip lead, and during most of three-handed play he seemed content to let Kassela and Lee battle it out. Eventually, though, he got short and was all in against Lee. Lee patted a queen-jack, and McGuigan couldn't dodge a pair. McGuigan was the one who eliminated fourth-place finisher Matt Waxman. Waxman, who started Day 2 with five big blinds, rode an early triple-up all the way to fourth place. On his final hand, he couldn't outdraw McGuigan. Waxman was drawing to a seven and made a jack. Meanwhile, McGuigan was drawing to a nine and made a ten to win the hand and send Waxman to the rail with $25,451. Kassela was the one who knocked out Jared Bleznick in fifth place. 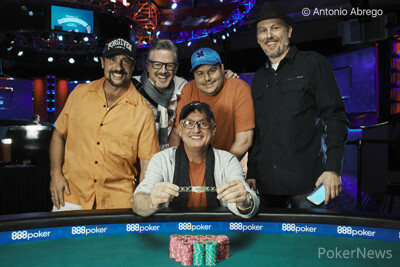 Bleznick entered the unofficial final table of eight players with a 100,000-chip lead, but the final level of Day 2 left him with under 100,000 total. He managed the short stack entering the day, but his pat jack couldn't hold up when Kassela converted his seven draw into a nine-eight. The first player eliminated today was Stuart Rutter, who also fell to Kassela when he made a nine-perfect and called an all in after Kassela had made an eight. The former WSOP Player of the Year felt pretty comfortable in his position all day, despite only holding the chip lead shortly before he actually won the tournament. When heads-up play started, Lee had the advantage. Kassela battled back, then Lee took an advantage again. "Poker, in general, requires a lot of patience," Kassela said. "Specifically at a final table, people are going to make mistakes. They're going to get a little bit too hasty, and you can't allow bad hands to f*** up your head." Outside of the cash game circles, the majority of Kassela's poker experience comes at the WSOP. He considers himself a recreational player, though he certainly has the chops to hang with the pros. "Generally speaking, when it comes down to being a recreational player, I consider myself one of the best recreational players in the world," he said. "I have no idea what I could do if I hopped on that train and played all year long, but I'm sure I'd have a lot more tournament success than just showing up here six weeks every summer." 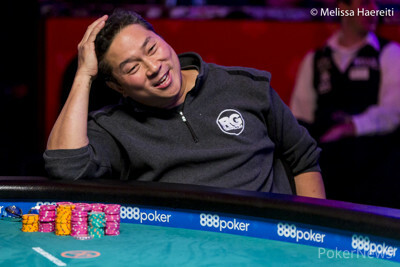 When asked if there was anyone from the final table he would not want to play heads-up with, he mentioned seventh-place finisher, Benny Glaser. "Benny's a really good player. It was a bummer to see him get knocked out as a friend, but at the same time, it's nice to not have to play against him." Kassela was pretty confident heading into three-handed play. He said it was mostly because of all the hours he's racked up playing no-limit 2-7 in various mixed cash games. "Once we got three handed, I felt pretty good. Even though I never really had the chip lead until right at the end, I felt like I was going to win the whole time." Kassela immediately headed to the registration line for the $10,000 6-Max Dealers Choice tournament. PokerNews will be bringing you live updates all summer long from the 2017 World Series of Poker. Bernard Lee, who was the start-of-day and long-standing chip leader, three-bet all in over an open to 100,000 from Frank Kassela. Kassela got an exact count and decided to call. Lee flicked one card into the center of the table, indicating a one-card draw, and Kassela stood pat. At that point, Kassela laid out the hand Lee would need to beat in order to stay in the tournament: . Lee was drawing pretty live when he showed with one card to come. He reached for it, turned over the , and immediately laid his head on the rail as Kassela jumped up to embrace the members of his rail who had gathered for a chance to see him win his third bracelet. This marks the third top-ten finish for Lee in a 2-7 event and likely the most heartbreaking result. He collected $55,086 as a consolation prize. Level 27 has been very good so far to Frank Kassela and not so great for Bernard Lee. The standard play has been to open to 100,000 and call. Four straight pots have gone Kassela's way. Bernard Lee has been taking control, and Frank Kassela fell below 600,000 chips. On this hand, Lee opened to 100,000. Kassela quickly went all in for 595,000. Lee got an exact count, then decided to fold. Frank Kassela returned from the break with a one-ante lead over Bernard Lee. After the first couple hands, Lee has retaken the lead and now has a two-to-one advantage. Kassela opened to 100,000, and Lee called. Lee drew two, and Kassela drew one. Kassela bet 125,000, and Lee called. 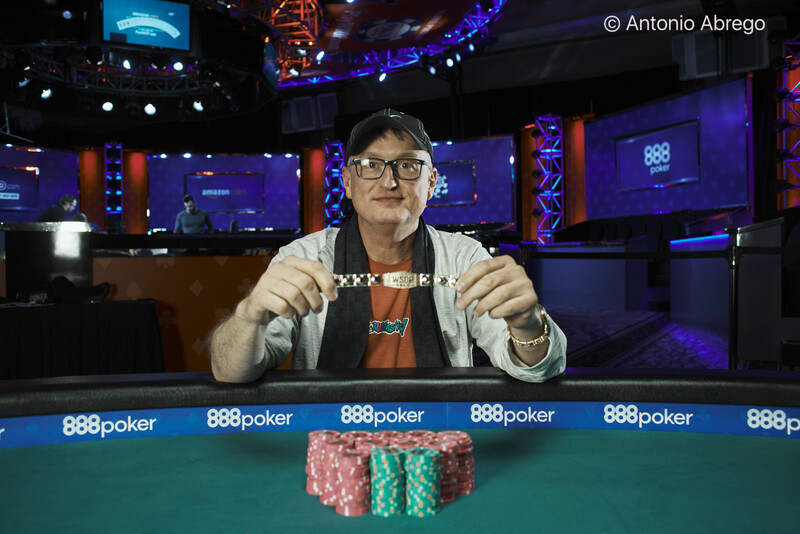 Kassela showed a ten, but Lee had hit two to a nine and took down the pot with a nine-eight. Both Bernard Lee and Frank Kassela are each sitting around a million chips as they head to break. Kassela has the slight lead by 10,000 chips. They elected to skip dinner and will resume play in 10 minutes. There hasn't been any major action. Most of the last group of hands saw an open and a call with checks behind. Bernard Lee has taken down most of the small pots and has retaken the chip lead. A good-sized pot went Lee's way when he called an open by Kassela. Both drew one, and Lee called a bet of 140,000, winning the pot with a jack-nine after Kassela attempted a bluff with a paired hand. Frank Kassela is now the chip leader heads-up in Event #13. "Does that give us the chip lead?" asked Shaun Deeb after Kassela won a hand. Deeb came to cheer and coach Kassela once the tournament went heads-up. Kassela won a couple hands in a row to finally overtake Lee. First, he opened to 75,000, which has been his standard open for this level. Lee called. Both players drew one, and both checked. Kassela won with a against a queen. A couple hands later, Kassela opened 75,000 again, and Lee called. They both drew one again, and Lee checked. Kassela bet 150,000, and Lee folded.